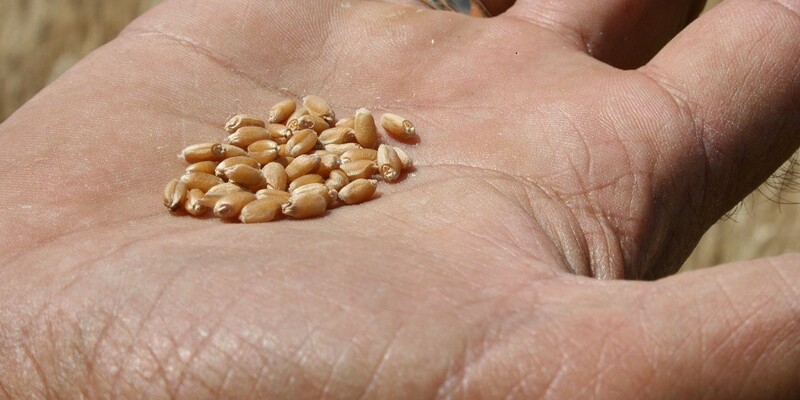 Purchasing the right seed source and variety is one of the most crucial decisions for winter wheat planting. Although this process is only a small percent of overall production costs, it can affect yield-potential more than any other input factor, according to the Colorado State Extension. This is why it is important to invest in certified seed for high-quality performance. Many wheat growers purchase certified seed for planting and then save harvested grain for 2 or more consecutive years before buying fresh seed. This is risky because the further removed saved seed is from the original certified variety, the greater the risk becomes of varietal impurity, poor seed germination, diseased seed and the presence of volunteer crop and weed seeds. Planting certified seed that has gone through a thorough cleaning process ensures that growers are getting the full genetic benefits of the varieties they choose, maximizing potential yield, quality and test weight. Seed purity and seed germination are the 2 critical factors that influence seed quality. Seeds are considered pure when no unwanted materials are present. Contaminated seeds increase production costs and reduce the quantity and quality of harvest. Investing in pure, certified seeds assures that they have been properly conditioned to remove weed seeds, therefore decreasing extra herbicide costs. Germination tests allow researchers to observe seed vigor in a controlled, lab setting. This helps predict the seed’s ability to generate healthier plants with higher yield potential. Research shows that seed lots with high germination create more vigorous seedlings. In contrast, low germination indicates seeds are deteriorating and if they germinate will produce weaker seedlings. Each year, our AgriPro Associates conduct rigorous testing to ensure seed purity and germination of our AgriPro® brand wheat varieties so you can rest assured you’re buying the highest quality seed available. Our varieties are the culmination of years of research and testing to provide the best possible combination of yield, disease resistance, standability and grain quality. Our AgriPro Associates ensure varieties are field inspected and lab tested to meet state seed certification standards. As a result, all AgriPro varieties are sold by variety name as a class of certified seed. Check out 4 other tips for success this winter wheat planting season. For more information about AgriPro brand wheat varieties or to find a local AgriPro Associate, visit www.agriprowheat.com.